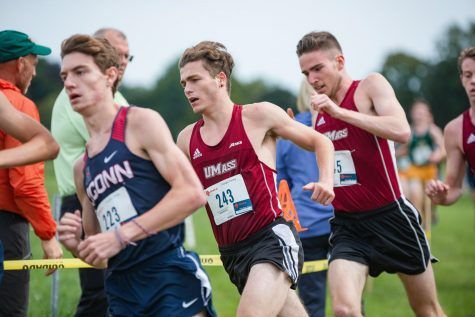 Two weeks after hosting the Minuteman Invitational to start their seasons, the Massachusetts men and women’s cross country teams will journey to Franklin Park in Boston on Friday for the Coast-to-Coast Battle in Beantown. Friday’s meet will provide stiff national competition for both teams. In attendance for the men’s side will include No. 3 Syracuse, No. 15 Georgetown, No. 24 Providence and Florida State, who is just one spot outside the national rankings. The women’s side includes No. 4 Georgetown, No. 8 Providence, No. 19 Syracuse and No. 25 Dartmouth. The coaches for both the Minutemen and Minutewomen are taking this weekend’s opportunity to test their respective teams against the nation’s top teams. UMass women’s coach Julie Lafreniere said she finds it difficult to contain her excitement for the upcoming meet. 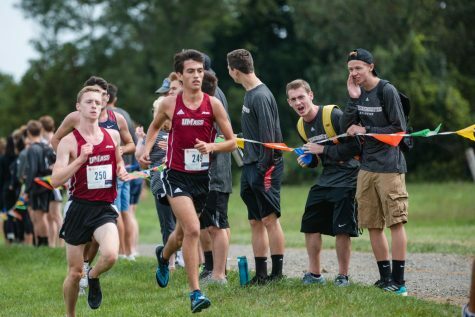 While she is enthusiastic, Lafreniere realizes UMass isn’t ready to contend on the same level as some of the teams lined up to compete in the race. However, she remains optimistic that this meet can be a first step in getting to the top at the national stage. Although the Minutewomen were a little slower than expected in their opening meet Sept. 12 – in which they finished fourth out of six teams in the Minuteman Invitational – the return of runners Heather MacLean and possibly Natalie Mako (game-time decision) should bolster the lineup. Freshman Alexa Livingstone, who finished first for UMass in the women’s 5k run, will need to build on their performances from her first college meet. The Minutewomen will also rely on senior Carly Zinner to continue to be a model of consistency and for sophomore Colleen Sands to show improvement in her second year. The Minutemen have a majority of their athletes that reside in-state, which gives them a level of familiarity with Franklin Park. Eleven of UMass’ 16 members attended high school in Massachusetts. While this could be seen as an advantage, Minutemen coach Ken O’Brien is hesitant to agree. 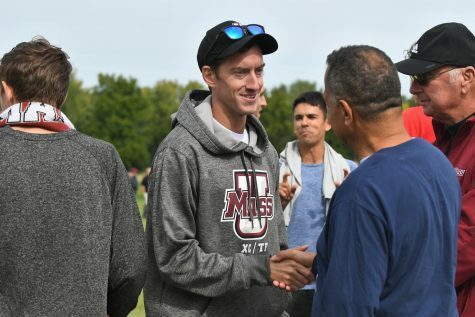 The course will be fast, and although UMass runners having seen it before in college and high school races, the “home” advantage is negligible. Still, O’Brien has kept the overall goal for the team relatively lofty. Last year the Minutemen finished 13th in the race and this year, with a talent pool that appears to be deeper, O’Brien said he’d like to see the team finish in the top 10. “We’re expecting a slightly better performance with a race under their belts now. We hope that with the race and 10 days of practice, they will handle the end of the race a little better and the pack will keep a little closer together,” O’Brien said. 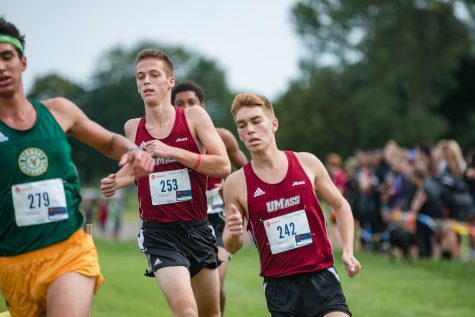 The Minutemen will look for a performance from sophomore Sam Conway similar to that in the home opener when he led the Minutemen as their top runner, and sixth overall in the UMass Cross Country Invitational. Senior Ben Groleau will be relied on as one of the experienced runners to handle the pressure of a meet this magnitude as well. Friday’s race will begin at 3:30 p.m. for the 8k and at 4:15 p.m. for the open 5k.